The National Institutes of Health (NIH) in Bethesda, Maryland is composed of 27 institutes and centers that invest more than $28 billion annually in medical research—services beneficial for both researchers and patients. 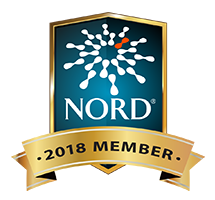 PDSA’s involvement with the NIH includes collaborating with the Genetic and Rare Diseases Information Center (GARD) and the The National Heart, Lung, and Blood Institute (NHLBI). PubMed offers more than 27 million reference citations. By entering a subject the PubMed search engine provides a list of published research on that topic. Located on the NIH campus, the National Library of Medicine (NLM) collection contains more than five million items and is open to the public. The NLM’s books and journals are also available through interlibrary loan. National Center for Complementary and Integrative Health (NCCIH) at the National Institutes of Health (NIH) publishes data on many complementary and alternative medicine topics and also conducts research on treatments that hold promise. "The Immune System-How it Works" is a 63-page booklet from the National Institute of Allergy and Infectious Diseases; paper copies are also available. A well stocked resource of journals open to the public. Learn more about what the NIH Library offers. The National Institutes of Health Research Portfolio Online Reporting Tools (RePORT) provide information about all grants and contracts receiving support from the NIH.